What is Led Emergency Road Flares? 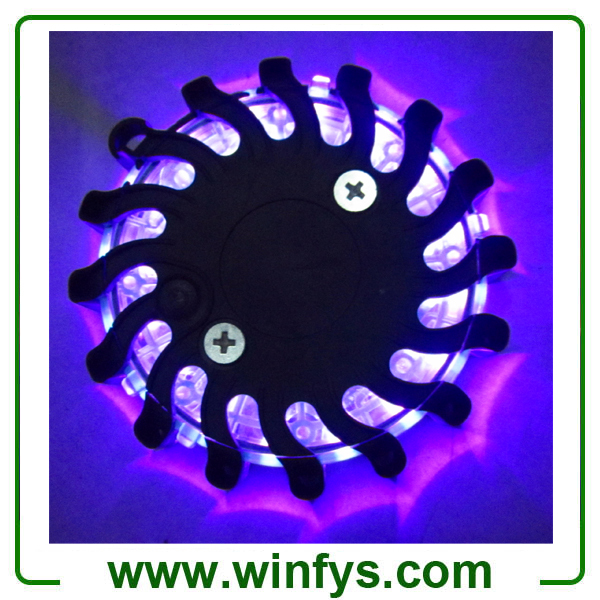 Led Road Flares (or called Led Power Flares) are the environmentally responsible emergency safety light that give you nine power flare modes and make it seen. It is a flameless, non-toxic, battery-powered flare in a plastic crushproof enclosure that is illuminated by multiple ultra-bright LED lights instead of a flame.The LED Road Flares is a smart alternative to the strike flares normally seen on the roadways surrounding a car accidents and other traffic changes. LED Road Flares ( Led Power Flares, Led Flares, Led Safety Flares, Led Emergency Flares, Power Flare, Road Flares ) is an ideal safety signal light to identify Road Hazards, Mark Detours, Underwater Repair Applications And More and A great item to keep in your vehicle at all times that can be used to signal for help or identify road hazards and used for police, firefighters, EMTs, rescue services, first responders, members of emergency responser, the general public and used in cars, trucks, boats, RVs, semi-trucks, construction zones, airports and emergency response vehicles. 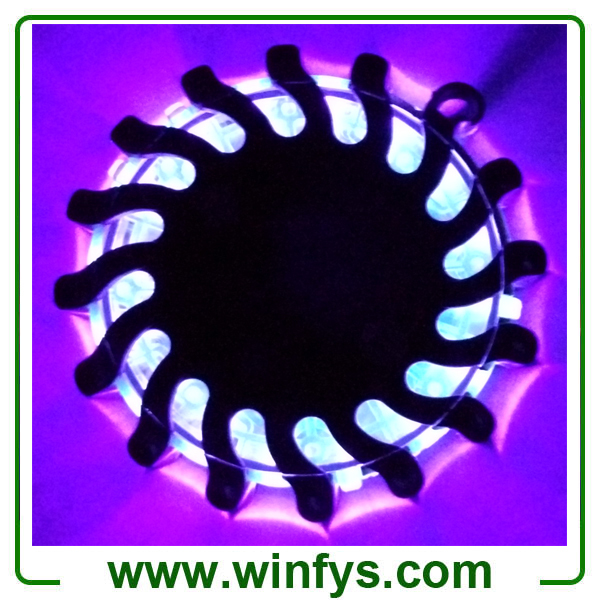 The Led Road Flares has many unique features that make it a great alternative for road flares .It is widely used for construction equipment, docks, accidents scenes, fire, rescue, runways, military, races, sport events, crowd control. Colors: Red, amber, blue, green, white, black, yellow customized colors available. Daylight & Night Visibility Ranges Night: visible to 900M (3,000 ft) on road or water, 10 miles (16 km) fromair Day: visible to 300M (1,000 ft). Approvals & Certifications: Complies withU.S.DOT (FMCSA) 49 CFR E 392.25 & 393.95(g). MUTCD Type A (flashing) and Type C (solid on). Designed to meet MIL-SPEC/MIL-STD 810 for shock, vibration, and water-resistance. 6. Powerful magnet to attach to metal surfaces. The strong magnet attaches to construction or highway trucks, cars, signs, or other magnetic metal surface. The blinking caution light will alert drivers to road work, accidents, or other road hazards. 7. Shatterproof, crush proof, corrosion proof waterproof: Housing made of PC, TPE and TPR, it is even no problem allowed a car drive over it!. Completely waterproof! It even floats! Perfect for boats and watercraft safety, also it is no problem working underwater 1/2mile. 11. 120-240V wall charger and12-24V car charger LI battery in recharge series capacity: 700mAH/3.7V AC charger: input voltage 100-240V, output voltage: 5.5V, output electricity 450MA Car charger: input voltage 12-24V, output voltage: 5.5V, output electricity 450MA Charging time: battery can be fully charged within 2-3hours. 12. How to Charge led road flares ? 3. Connect the USB wire with the ellipse charger, now you can charge the light through the computer USB plug. 4.If you want to charge the light through AC, please connect the AC charger. 5.If you want to charge the light through CAR Plug, take out the AC charger and connect the CAR charger instead. When it is fully charged, the light on ellipse charger is GREEN, and when it is full charged, the light on ellipse will turn RED.